LENEXA, KS (March 25, 2016) MedZone, a nationwide provider of topical, OTC products for the prevention and/or treatment of aches, pains, wounds, and minor burns, announced the debut of their newest product , BlisterZone . This is the first new product since MedZone’s acquisition by a new investor group earlier in the year. 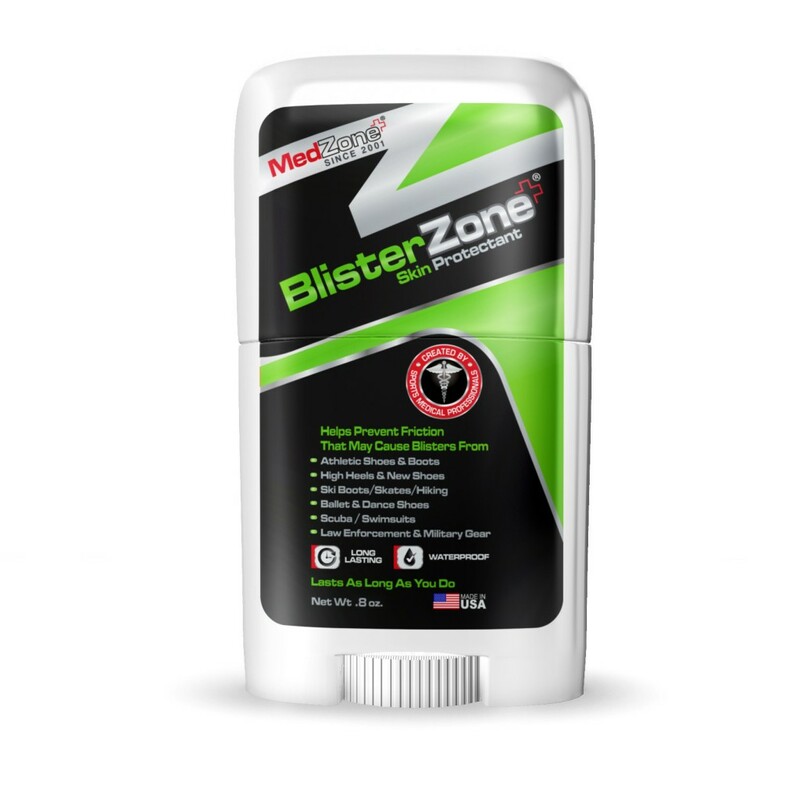 The new product BlisterZone is an anti-blister skin protectant to help active people create a skin barrier to prevent friction and blisters. During the due diligence stage of acquiring the company, the new owners talked to current customers and nonusers about current unmet needs when it came to friction related irritations. From those discussions BlisterZone was created. BlisterZone’s uniqueness is that it is a preventative, to be applied before repetitive friction can cause blisters to occur. So whether you are wearing high heels pointe shoes or ballet slippers, work boots or ski boots, skates or cleats, BlisterZone can prevent blisters from forming. BlisterZone not only provides a friction barrier and comfort for the feet – it can be used on your hands, inside gloves, wetsuits and even bathing suits … wherever one has a tendency to blister. “We are excited to introduce BlisterZone as the first of many new products that will be added to our unique line that includes ChafeZone, BurnZone, and PainZone. And similar to the rest of our products, BlisterZone carries the Money Back Guarantee. With the introduction of this newest product we are staying true to our mission of making ‘EveryBODY Feel Better’”, said Joe Freeman CEO of MedZone. BlisterZone can be purchased online at www.medzonecorp.com or at Amazon.com. The new product is a great alternative for dancers and performing artists who encounters blisters or chafing like skin irritaitons. Since 2001, MedZone® has specialized in developing topical, OTC products for the prevention and/or treatment of aches, pains, wounds, and minor burns related to daily activity, work, sports, dance and exercise with the creation of ChafeZone®, PainZone®, BurnZone® and BlisterZone®. Our topical, OTC products are Made in the USA and manufactured under FDA regulations to insure the highest quality. MedZone, the MedZone logo, MedZoneCorp.com,ChafeZone, PainZone, BurnZone and BlisterZone are trademarks of MedZoneProducts LLC.